Once the realization of exactly where you are has settled in, when you have orientated yourself and explored your resort, all of which offer their own range of recreational facilities like pools, spas, some hotels with kids clubs to entertain children and some, like the Laguna Resorts even offering a world class golf course, you will at some point when having soaked enough sun on a palm fringed beach want to find out more about what to do in Phuket, explore the attractions and embark on great adventure activities. Guided sightseeing tours can be arranged with a multitude of operators, both locally and online in advance. We suggest arranging tours directly with your hotel's tour desk once you arrive, especially ones involving boat travel. This way you are not bound to set appointments and can book your trip on a day when the weather is good. The hotel's tour desk will provide detailed information of attractions and activities and by arranging directly with them you know you are dealing with reputable operators. 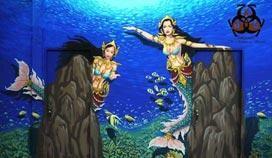 The Phuket Fantasea is the ultimate themed entertainment and fun thing to do for the whole family. 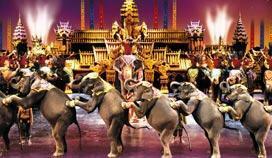 This fantasy land feature the palace of the elephants theater, cultural illusion shows with aerial ballet and acrobatics depicting the history of Thailand in a colourful extravaganza, there is the carnival village street, a tiger jungle adventure show as well as the legend of the underwater world of Kamala show. 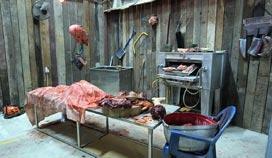 Don't eat before going, themed restaurants are available. Wake up to your worst nightmare and enter a house of terrifying horrors. This artfully and creatively constructed haunted house of horrors will have you scared stiff with incredible life-like effects as you travel through different scenes of carnage and death. Each exposes your nerves to a different source of fear starting with that which hide in the dark and psycho maniacs on the prowl for your blood. Scary enough that only persons over 15 may enter. Give Indiana Jones an eastern make-over and you have an idea what The Chamber of Secrets in Phuket is about. The only difference is you are not sitting in a movie theater, but actually starring in the show, figuring your way out from challenging situations by following cryptic clues. You can choose from 5 creatively constructed themes like communicating with The Mermaid of Songkhla to defend yourself from pirates, to waking up in someone else's dream. Clear water and colourful marine life makes Phuket one of the top ten diving sites in the world. Nearby scuba spots include The Surin and Similan Islands, Phi Phi and Richelieu Rock. No dive ticket yet? Padi registered scuba schools will fix this problem cheaper than you'd imagine. 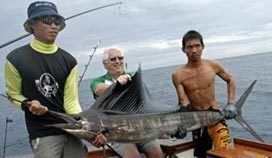 Bring out your tackle, because this is an opportunity to do 3 in 1 namely to reel in a big one from a well equipped boat offering all gear, exploring the island's coast and visiting enchanting islands all in one with reputable operators like Phuket deep sea fishing.com. 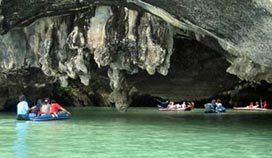 A popular sightseeing adventure and one of those things you absolutely must do is to experience the mysterious limestone caverns of Phan Nga Bay off the island's east coast by inflatable canoe. It is an awesome activity for all ages and can be arranged with your hotel's tour desk. Horse riding is exiting activity, but exploring a tropical island on horseback is simply awesome and very romantic. It changes the scenery somehow and makes it even more spectacular. 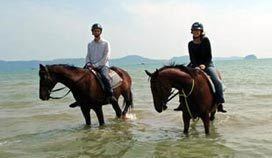 Professional riding lessons are available for beginners and guides will accompany you on a scenic trip exploring exotic nature passing by blue lagoons, mangroves and white sandy beaches. Jet skiing is popular sport for those who wish to move across the water faster. Jet skis can be rented on beaches such as Patong, Karon and Kata, but be warned, it comes with risk so get properly informed and if you are not experienced don't do it. 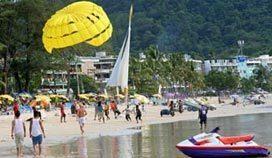 You can also go kayaking, sailing, windsurfing, water skiing and kite boarding all of which can be arranged with local operators. Golf courses on the island include the Blue Canyon Country club in Thalang which was host to the Johnny Walker classic in 1998. 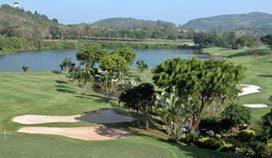 Other top courses include names like The Banyan Tree in Bang Tao, Loch Palm Golf Club and Phuket Country Club in Kathu. All Laguna hotels like Angsana Laguna, Dusit Thani and Outrigger Beach Resort allows you direct access to a world class 18 hole course.